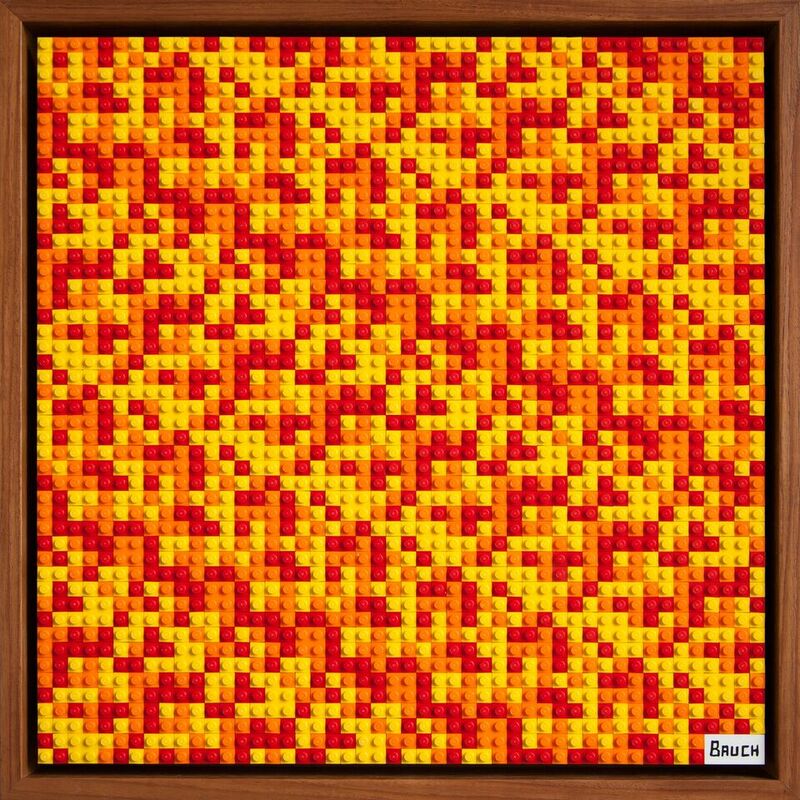 The L.A.-based artist employs a signature style of using thousands of Lego bricks to create colorful works that could be best described as pixelated Pointillism. 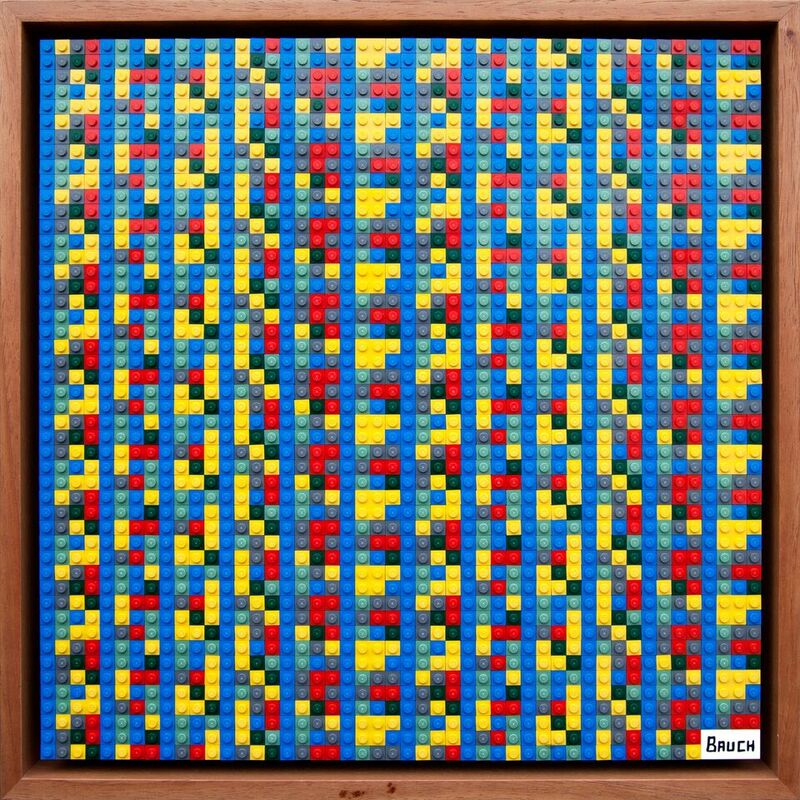 Bauch has been creating these Lego works since 2010 as a way to question the merits and monetary value of art in the technological age, be it through portraits of pop culture icons or mosaics of iconic L.A. restaurants. 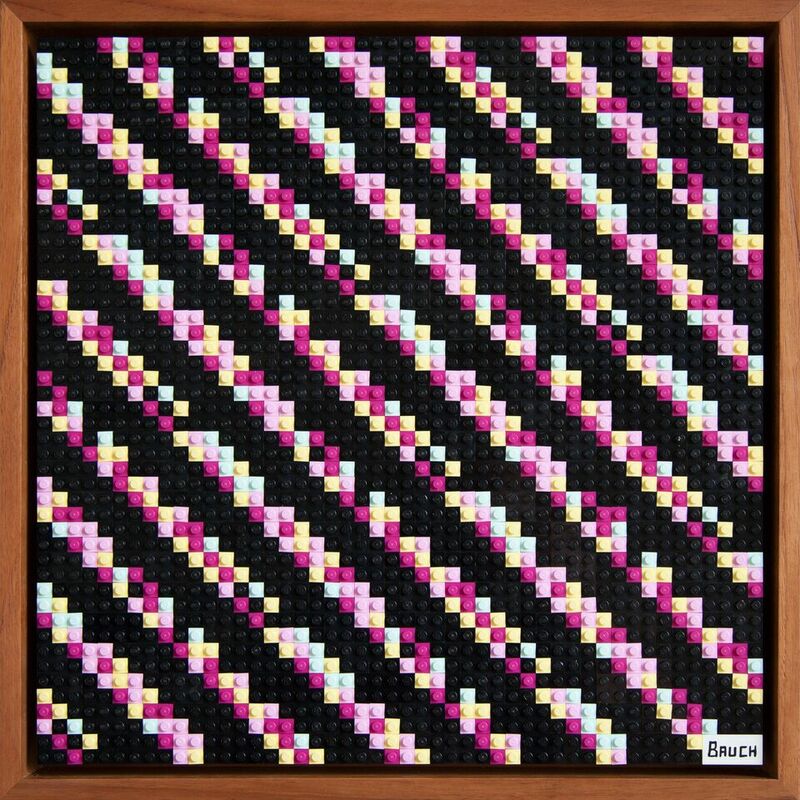 But his newest series, on display at Castelli Art Space in Mid-City from March 23 through March 25, takes this concept a meta-step further. 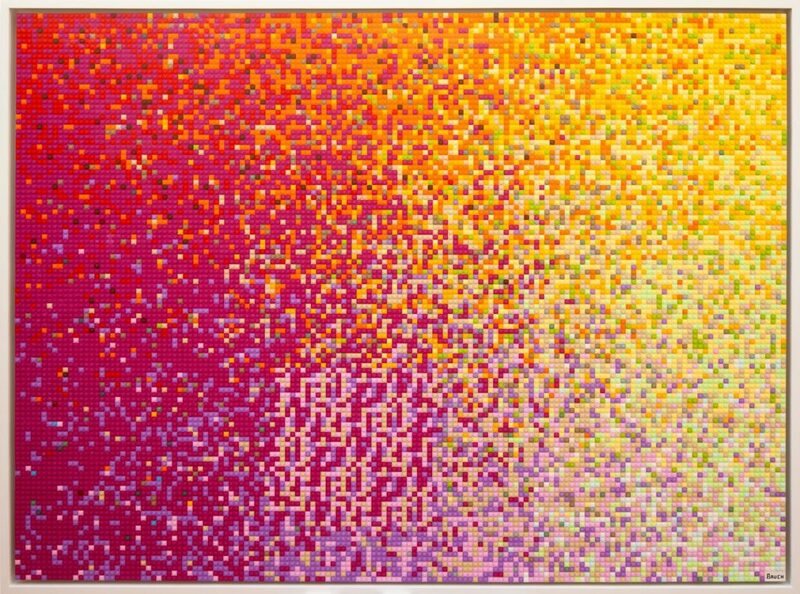 Titled New Money, the exhibit contains pieces that are actually patterns; if decoded properly, they correspond to cryptocurrency wallet codes. 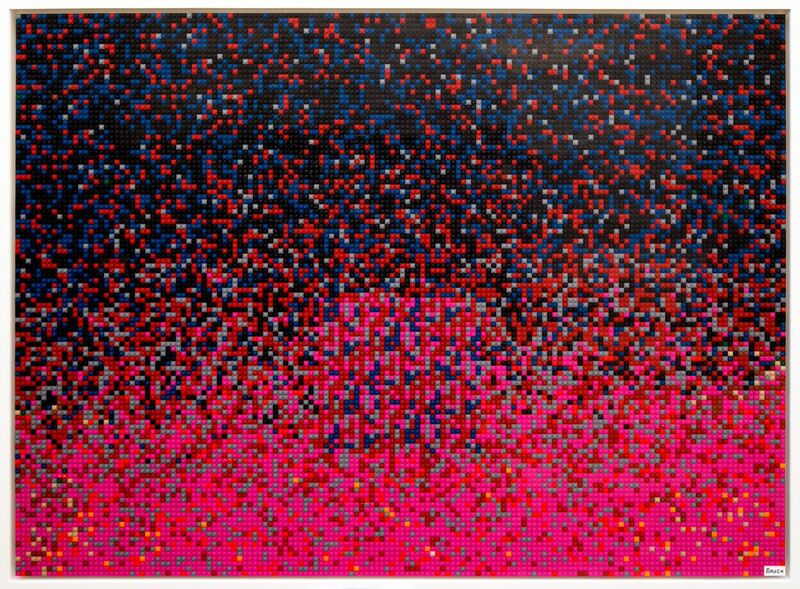 Bauch employed “a combination of human and algorithmic input” to create the patterns and color schemes for each artwork. If that’s the case, the majority of the artistic choices made to create these pieces weren’t choices at all. Instead, the works are byproducts of a highly calculated, controlled system. It leaves one wondering (exactly as Bauch would like to leave one wondering): What exactly determines the value and meaning of art—technical skill, the intention of the artist, or the emotional response we have as viewers? And as someone who is fixated on the impending technological singularity, a natural follow-up question to that would be: Will technology and AI ever be capable of producing true art sans human involvement? Yes, the thing with AI is that it seemingly may be able to relate to just about any realm. But at this point in time “AI” really is just a cobbled-together collection of skills that computers are now good at. For instance, in the last few years there have been breakthroughs improving our ability to recognize objects in images, to process and understand speech and language, and in democratizing these technologies. Oxford and Yale recently polled a bunch of AI researchers, and they think in the next 20 or so years AI can write a best-selling book. I don’t see why AI and robotics won’t be able to paint and sculpt better than artists can in traditional mediums as more AI and robotic abilities are achieved, and there are already many creative applications of AI that can create digital works of visual or audio art. The only catch is that we can’t easily predict when various AI breakthroughs will come. There are still countless tasks which are trivial for humans and nearly impossible for machines. I think creativity is a bit of an overrated concept. In the sense that people can produce physical or digital objects, well a computer can do that. And while often times when we think about creativity today we think about originality, basically no work is created in a vacuum. And if a work of art could be truly original then it would be totally unappealing to the majority of people. In the sense that many AI applications employ training models where they are exposed to thousands or millions of examples before they begin operating autonomously “AI creativity” may be the ultimate art appropriator, but I don’t personally think that originality equals creativity, or that creativity makes for great art. But I might just be a little bit cynical.